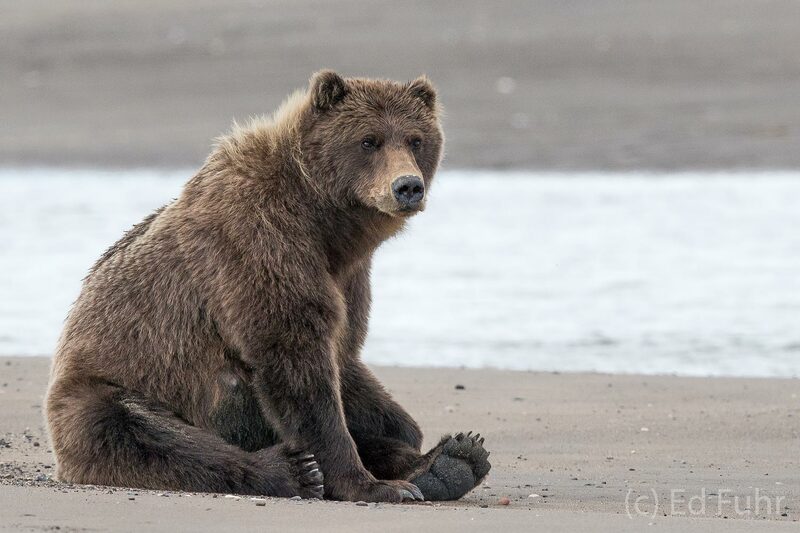 A large brown bear eyes the tidal inlet for any sign of salmon. As soon as one is spotted, she can cover 100 yards faster than a thoroughbred. Photo © copyright by Ed Fuhr.